- Light brown color with a cluster of slanting light blue leaves. - This rug is handmade in 100% New Zealand wool in premium quality and is double weft. - Due to its strong tenacity, it is most suitable for an area with high traffic. 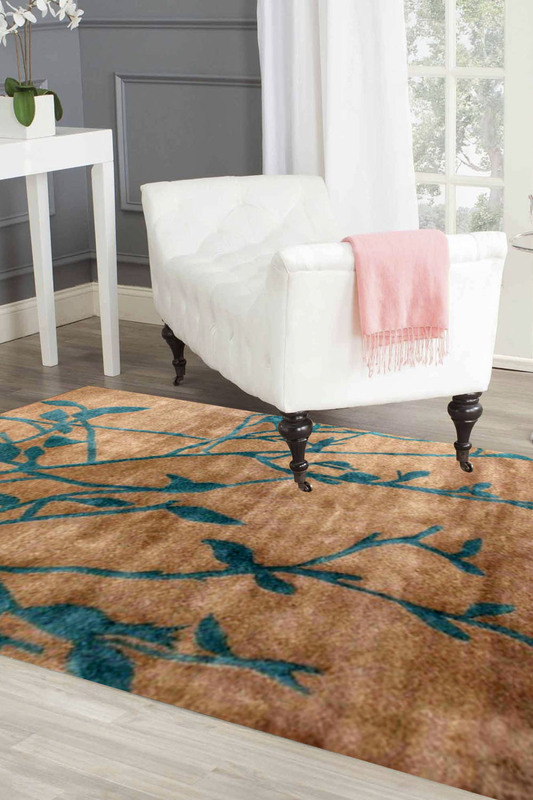 - Rugsandbeyond's recommendation is to use this rug in a room with light basic interiors. - It is highly durable and is easily washable.